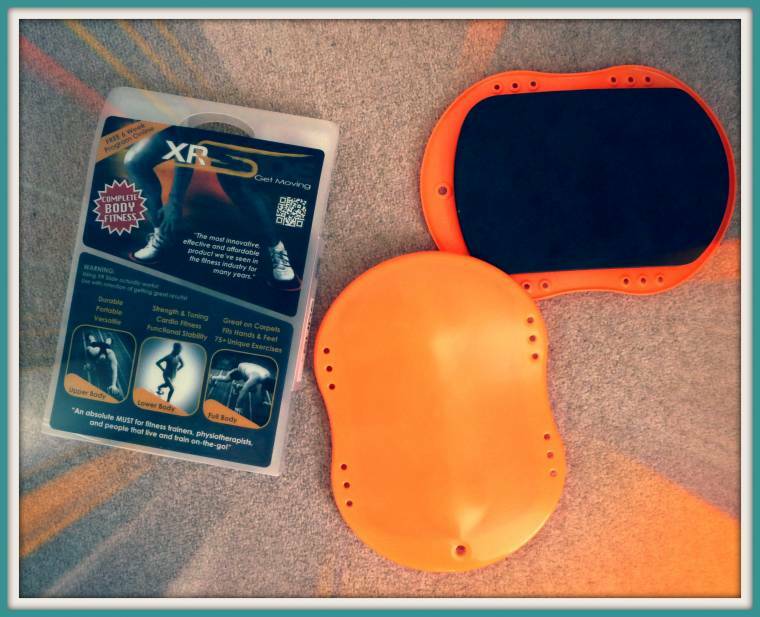 A few weeks ago Panacea Life asked me if I would like to try out one of their XR Slide fitness products and review. After watching all the fun things you can do with it on you tube video, I was more than happy to give it a go. I wish I looked as thin and coordinated as Justine Switalla, the model in the YouTube video!! A great demonstration of slide exercises for the entire body that you can do with the XR Slide. An innovative fitness product that allows for fluid, controlled and full body movement. Great for personal trainers, home or on-the-go exercise. Compact, durable and portablePerfect for on-the-go exercise. Easily fits in your armbag, briefcase, backpack, etc. Train at home, gym, hotel room, the park, etc. Fun and affordable valueReplace the need for any other gym equipment for an incredibly low price. Versatile and highly effectiveIncredible for all levels of fitness and sport cardio, strength, toning, compound sport movements, stability and core abdominal. XR Slide is the latest innovation in fitness technologies. The XR slide is a fun little fitness product which the model in the youtube makes look a lot easier than it actually is. I excitedly opened it and looked for some exercises to try but nothing inside the box to show you, which leaves you trying to figure out what to do with them. It states there are 75+unique exercises you can use? How and where you find them, I am not sure? The few exercises on the youtube video are good fun and I think in time I may well get used to them. Like anything new, it does take time to get better at them. I am sure you could get lots of strength, toning and fitness with them if you can find some exercises. The only worry I have, is that it can be quite easy to over extend when using this type of equipment. For example, if you had the sliders on your knees or feet and are in the press up position, then sliding your legs up and down similar to a squat thrust. You have to be very careful not to have too much lateral movement, and not over stretch your legs out losing control. This could lead to a pulled muscle quite easily. You need to concentrate 100% on what you are doing always keeping well under control moving very slowly if necessary. My eldest son who is studying Sports Science at Loughborough University and is a County standard athlete was saying the ease of misuse of this type of apparatus would be a major concern. Although if you could overcome that, then it could be an additional training aid. He also questioned whether you could do the same job on a wooden floor with a towel wrapped round your knees or fists etc and get similar results at a fraction of the price?! Overall then I would say 2½ out of 5. Access to all 75 exercises you can do with it would help. If you can find them anywhere? Using a lot of self-control and discipline would be needed to get the most of the sliders. I was sent an XRslide for the purpose of this review and was not paid for this post. All opinions are my own. You might like to keep up to date with all things here that are to do with fitness? Block Out Beckham And Ditch The Scales..
"Re-style : Old Dress,New Maxi Skirt : Creative Mondays Blog Hop…"
You look great and fit as you should!Great video!